As you know, Marvel has a number of different universes. Such as the Ultimate universe, for example. I do plan on doing some future events and plots here that involved multiverses, and I'd like to see some quick summaries on some of these verses, and where your character would be. Now in alternate verses, that means your character doesn't have to be the same exact person as in universe 616. They could be a hero on Earth 616 and a villain in the ultimate universe. They could be a normal person that never got powers, or a person that did. Anything, but keep it within reason and whatnot. If you have any custom universe ideas, just let me know and we'll add em to the list if enough people like em. Ultimate Universe: In this reality, with some exceptions, Earth was all but devoid of heroes until very late in the 20th Century. At this time, a sudden upsurge in accidentally, and sometimes purposefully, powered individuals drove the public into an increased state of paranoia and anxiety. Due to an increase in mutant activity which fueled the hysteria, most of the super powered beings were mislabeled mutants and treated with the same distrust as what, to most people, seemed like genetic aberrations. Marvel Zombies (Earth-2149): In this reality, with some exceptions, most of Earth's populace have been overrun with a virus that is transferred through blood. The zombie contagion passed via a bite from an infected being. The infected appeared to be dead, or at least decaying, but retained their intelligence, personality and special abilities. The disease caused a hunger in the host, a hunger which could only be sated by ingesting the flesh of the living; the flesh of other infected tasted foul to them and could induce illness. The hunger affected the infected's self control; the more hungry they were, the less rational and intelligent they became. Once sated, the zombies' personalities re-emerged, and the more humane and moral individuals often felt great guilt at this point. There is no known cure for the disease, and it appears to be 100% infectious; individuals normally highly resistant or immune to diseases, were affected. Those with any kind of accelerated healing appear to be able to fend off the zombification longer after being bit than others, however the virus eventually takes hold of them. The disease was also shown to affect Asgardians. The contagion appeared to have an addiction element to it. The hunger was entirely mental; severed zombie heads still had the gnawing hunger despite not even having a stomach. Also, like any addiction, the hunger could be cured in a sense. If a victim could be isolated from a food supply, within a couple of weeks the cravings disappeared and the subject was able perform a functioning role within society, albeit with necrotised flesh, and near-immortality. Guest kills the Marvel Unlimited Universe (Earth-12101): In this reality the world is a giant death trap. Everyone is killing everyone else, and it's every man or woman for themselves. The entire world is a giant death match. The cause of this is unknown, but everyone seems to have a mindset based on killing. Every single sentient being in the universe is out to off the others. Kuro weighs 116 pounds and stands at the height of 5'1. Though this would be a disadvantage to many, it compliments her role as an assassin of the night. Being trained by assassins for the majority of her life has had positive expressions for her body. Though small and appearing fragile, Larah is toned to the bone and very fit. When in combat or not, she is extremely calm when doing her job. Even covered in the blood of her enemies, she keeps her composure and gets the job done. Her skin is a milky tan complexion, as she holds some Brazilian and other unknown races. Her hair is also midnight black just like her eyes. When it comes to attire, it various from different garbs, but they all have the similarity of being loose on her body, similar to Bruce Lee's clothing style. This may be a secret nod towards her favorite martial artist. When doing her Assassin gig as Kuro, she wears an outfit that appears to have some resemblance to a Bat. Being born with a title ahs made Larah a girl with a moot sense of humor, but a strong belief in herself. She's very confident in herself, and the power of structure and order. Unlike most heroes, she does not hesitate to take the life of those who break laws. To enforce the big laws, you have to enforce even small ones. She believes in doing heroics through the black of night as using fear as a weapon against criminals. Unlike her 616 self, Larah is not insane at all. She's logical and can weigh consequences when making actions. However, this does not mean she can't play the role of the psychotic for a mission or two, just to get the job done. When it comes to work, she makes sure she is over prepared for any circumstance. Her relationship with the Order is rocky at best, but there is a mutual respect between the two Black symbols. Born in Tianlong, China, Larah was the daughter of a widowed mother. She was raised with much love and care through her childhood, which is the opposite of her 616 persona, and thus never cracked uner the intense pressure. At the age of fourteen, she would set out to join a certain Order that protected her small village from outside threats. Joining them, she would learn simple ways to take a life without any hindrance. What she learned with the Assassins, she would bring to the table when finally leaving the coop to bring justice to the world outside Tianlong. Through her journey as a hero, she has come across an interesting case of people, ranging from villains to heroes, and has even joined numerous organizations to keep Order throughout the world. Exactly like her current universe self. Simply more preppy and less gothic. Unlike her current persona, Ultimate Tara isn't bubbly and lacks a sense of humor. She has a recent new boyfriend, named Tim (as seen above), and has left the loser named Jason because Lone Star is a loser too. 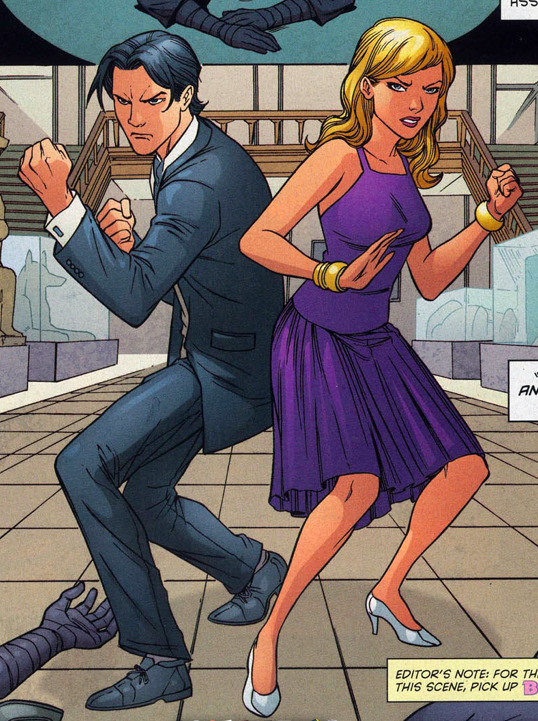 Unlike 616 Tara, this one talks with her fist alot more. She is also more open about using her abilities in public, as everyone knows she is Speedtress which means she has no secret identity. 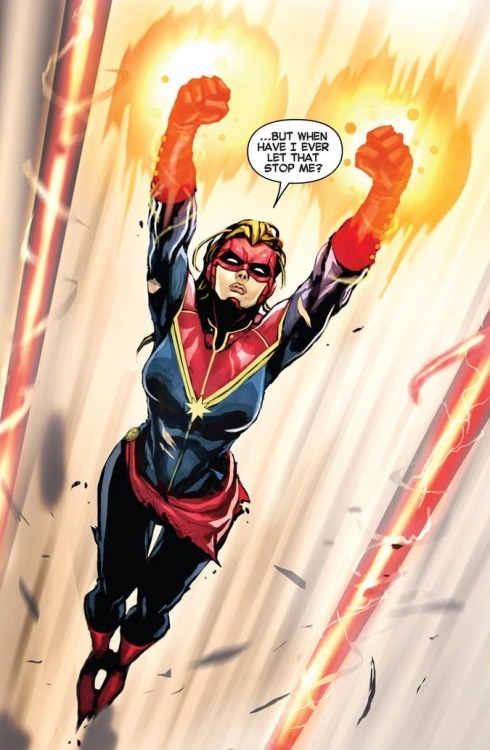 Unlike 616 Tara, Speedtress was born with her powers. Her parents still live their lives, and haven't passed away during her younger years. This making this Tara one without a bad childhood, and thus she didn't go the goody hero route she would have otherwise. She also hasn't met the Macreedys in this time line, and lives out in the middle of nowhere with her Father, Mother, and Brother. With her abilities, she helps people on a whim, and makes no effort to hide who she is. This makes her a sort of celebrity in public and in her school life. Phoenix Red, previously known as Miss Flash in this universe, stands at the height of 5'8 and has short blonde hair. On her left cheek is a scar that comes up from her chin. Her eyes are a keen shade of green. In this universe she is also more dedicated to her hero work, dawning a new outfit (as seen above) that shows her new conviction. Ironically, this would be the costume she had died in. Tara had a strong sense of justice that would inevitably cause her death by the Sinister Six and their new leader Nameless. She would be buried next to her mother and father as her soul was transported to Valhalla because of her good deeds. From childhood to the night the Macreedy's died, everything matches up with 616 Tara's life. 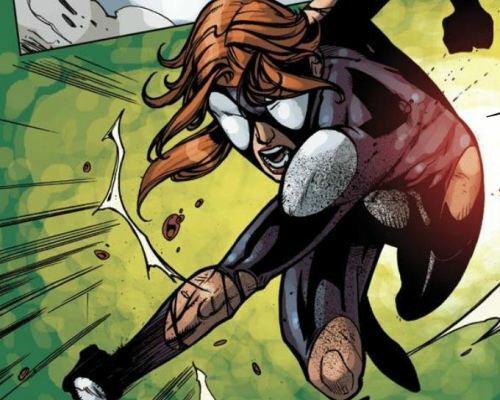 However, at this point it goes into a tangent where she joins SHIELD as an operative and dies years later in the city streets of San Francisco by the hands of Nameless and the Sinister Six. She died some time before the Zombie infection, and thus was not bitten or revived as a zombie. His hair is a bit longer then normal and his suit changed considerably then his original Red Arrow attire. Considering the events which never happened over here like in the mainstream continuity Red Arrow was never greeted by Jesteria thus never becoming Lone Star which means he has stayed in S.H.I.E.L.D and is now known as the Second in Command to the director. He only has one old friend whom is named Larah while he has two brothers two of which he has yet to meet but he is the oldest of the trio. He has a sister and a mother whom are located in New Jersey while he mainly operates in the New York area as his assigned sector. He has some loose ties to this organization known as the order because of his affiliation to Larah and his very private life makes it very hard for people to deduce his actually Identity. Appearance:Rubedo has black hair, but cut it to where it only reaches his shoulders unlike before when it reached his back. He still has brown eyes, stands at 5'10, and weighs 215 pounds. The ultimate version however has scars covering his entire torso, and a large one across his chest. His arms are covered in tattoos. He has the "Claw of the Dragon" on his back, which is basically a mark from Feilong, his master that he put on his back to symbolize his full potential has been realized. Personality:Gai Gun in this universe is not the same hero. Before he dedicated his life to justice, but showed mercy to his opponents. In this universe, he feels that evil and villians deserve nothing but death exactly what they cause to innocent lives. He seems to be much more serious and critical of evil in this version and doesn't joke around and socialize as much. He gets annoyed quickly and tends to be quiet. Character History Summary:Gai Gun's father in the Ultimate Universe was killed instead of being put in a coma by the gang attack. The accident caused his mother to commit suicide causing a deep depression for Gai Gun. He was sent to an orphanage, where Feilong, in his human form, adopted Gai Gun and trained him in Mystic Martial Arts. He then gained the title of Gai Gun and it's powers. Personality: His two dominant traits are his lack of intelligence and his utter fearlessness. He could easily be amazed by simple things, such as a greenish penny. He is also crazy, he always breaks something known as the fourth wall. Telling people that they are being controlled by people typing their stories on a keyboard. Which make people believe he is crazy, or they just plain ignore Jim. He was born through the exact same circumstances as Kana. But, instead of being born a girl he was born as a male. Along, with the fact that they tested on his mother instead of the father. In this universe Yuuka stands a few feet taller at 5'5" and her birth defect (Midnight green hair and eyes) from earth 616 is non-existent in her Ultimate counterpart. She still, however, retains her athletic, slender physique from her acrobatics training. Personality: Ultimate universe Yuuka is considerably more genuine with the people around her and unlike her 616 counterpart doesn't always necessarily flirt her way out of trouble. Rather than solely relying on her looks and wits Yuuka focuses on the use of her 'lucky' ability, which although minor in comparison to other people inhabiting this universe allows her a much more easier way through the problems that face her. She is an optimistic realist who knows full well what her skills and talents can enable her to do and will never shy away from an unguarded, valuable object. 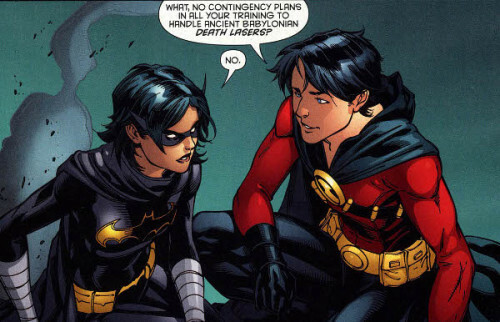 She does however still retain a sharp tongue, quick thinking and slightly sarcastic mindset that will always be incorporated in her little brawls against less savoury individuals. yuuka has no control over this power as things considered "lucky" just randomly happen to her. Ergo, nothing bad will happen or if it does then her power will always sort it out and keep the "lucky" side of the scale the heaviest. People always respond positively towards her and they'll rarely be drawn into a fight. People would voluntarily give her money and such and just genuinely be nice and respectful to her. All aspects of her life can improve drastically: love life, work life, personal life, financial life and basically life as a whole would become easier, happier, and would excel altogether. 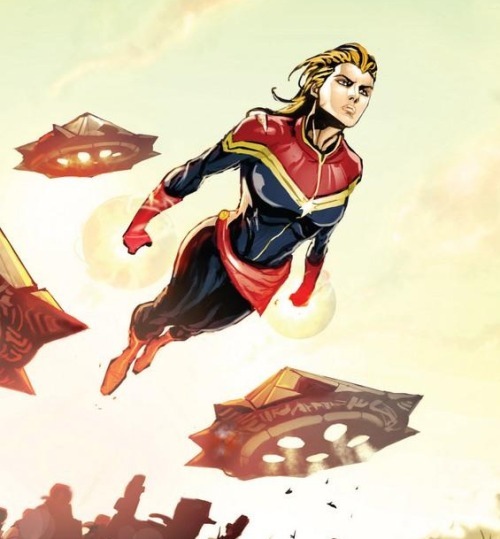 Character History Summary:Her history is generally the same as it is in the 616 universe, however it differs after her arrival to America when she was a young teenager. Her 'lucky powers only recently came into fruition and after finding a small job as a shop assistant she was quickly scouted out by a modelling agency. Soon enough she was posing for teenage magazines and walking the runways with barely a care in the world. Her identity as Lady luck was kept a secret however but Yuuka managed to balance both her professional life and her renegade work. Her night-time activities eventually found her bumping into the Red arrow and no sooner had they met did she feel that he was 'the one'. Whether it was due to her lucky ability or her amazing looks and physical prowess the young allies soon became lovers and she acts as an honorary member of the Arrow family, freely giving Donille Hines intimacy and friendship.